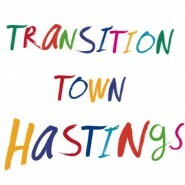 Do you want to get more involved in the architectural and planning process for Hastings that will shape the town’s future? In particular are you interested in the future of the seafront, which is subject of a current consultation process by Hastings Borough Council? Hastings Urban Design Group (HUDG) and Hastings Trust are following up on the popular ‘pop-up’ exhibition of imaginative architectural designs for sites throughout Hastings and St Leonards with a seminar, writes HOT’s Chris Cormack. Wednesday 28 November saw developments about two iconic Hastings buildings, St Mary In The Castle and the former Observer Building on Cambridge Road. The latter has been empty for decades and is the biggest derelict building in the town. Whilst the news about St Mary In The Castle looks potentially positive, campaigners from Hastings Trust expressed dismay at the relative lack of interest or action from Hastings Borough Council regarding the future of the Observer Building. HOT’s Built Environment columnist, Richard Hull, writing in an individual capacity, delves further into the depths of the arguments.